Uganda known as paradise for birds is one of the countries with the highest percentage of birds’ species in Africa with over 50% of the continent’s birds and 11% of the global birds. The country has been identified as a best destination for birding by the African bird club with Bwindi impenetrable national park coming in the first position and Murchison coming in the third position. Around half of the African bird species are found in Uganda and thus making it the most rewarding to undertake birding safaris in Uganda. Just within Kampala city, the busiest city in Uganda, birders can identify and note about 300 species of birds. This is all thanks to the rich diversity of habitats for the birds. 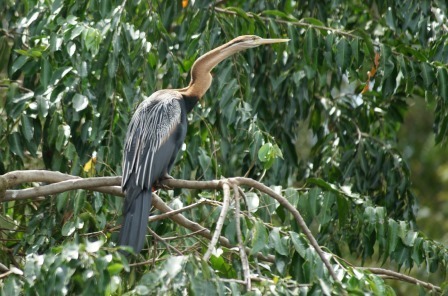 A range of bird species can also be explored on the Lake Victoria’s shores. Mabamba wetland is one of the outstanding birding sites and wetland of global significance. The wetland also provides tourists the opportunity of encountering the rare shoe bill, blue swallow, the threaten species like, Papyrus Gonolek, warbler Pallid Harrier and White-winged along with other species enriching the tourist experience and also increases Uganda safaris. The safari to the national park of Semliki presents the best time to enjoy bird watching activities. Semliki national park features rich bird habitats, butterflies and primates. The jungle walk through the forest offers you the chance of spotting a range of bird species including crested flycatcher, white-tailed horn bill, capuchin Babbler among others and also the opportunity to encounter elephants, crocodiles, buffaloes plus various primates and therefore inspiring to encounter while on safari in Uganda. Other birding destinations in the destination Uganda include among others Rwenzori mountains National Park with around 217 species of bird, the Impenetrable national Park of Bwindi with about 24 restricted range species and over 60 species of afro highland biome, the national park of Murchison Falls with around 450 species of birds among which include the rare shoe bill. Uganda continues to present other impressive birding destinations including the National Parks of Lake Mburo, Kidepo Valley and Kibale along with forest reserves of Budongo and Mabira. These are important birding sites in Uganda and Africa as a whole and shelter considerable species of birds which offer tourists the unique birding experiences.